With a provincial election drawing near, those who care about Alberta’s environment face the question of how to vote. But I don’t think there really is a question. At election time an incumbent government can be vulnerable because it’s the only party that can be judged by its record rather than its rhetoric. Opposing parties, on the other hand, are judged by promises they may or may not keep. This time around it’s primarily a contest between the incumbent NDP and the UCP, a reconstituted version of the far-right Wildrose. 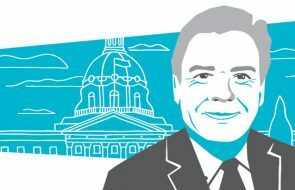 The Progressive Conservatives who used to rule us on behalf of their business friends are extinct; that adjective may never again attach to that noun in Alberta politics. Socially progressive Albertans—most of us—now have to choose among the Liberals, NDP or Alberta Party. The PCs had over 40 years to prove they cared about Alberta’s environment. 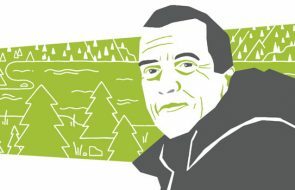 They got off to a promising start when, in the early Lougheed years, they established an Environmental Conservation Authority to keep development from harming land, water or wildlife. The ECA died an early death, however, when idealism encountered greed, and greed won. The Getty and Klein years were marked by unmanaged industrial exploitation, especially in the oil, gas and forestry sectors, cutbacks to environmental programs and conservation enforcement, and hostility to anything green that wasn’t money. When an electorate fed up with the PCs swept the NDP to power in 2015, the new team wasn’t ready to govern. Many new MLAs had little or no political experience. The civil service they inherited had been appointed by (and for 40 years conditioned by) conservative politicians. Public support was shaky; many sectors in Alberta were more than a little bit shocked at what we had collectively done. An NDP majority? In Alberta? Meantime, the province—heavily dependent on oil revenues to finance government operations—was in a recession caused by the Middle East’s oil overproduction. And the world into which we sell our petroleum resources, finally confronting the reality of climate change, had come to see Alberta as a land of anti-environment dinosaurs who strip-mine tar sands and poison waterfowl in sludge ponds. We faced the conundrum of having to prove our environmental credentials even while finding a way to sell more of a substance whose combustion is making the world increasingly unlivable. – A Climate Change Plan that includes a levy on CO2-generating energy consumption, a phase-out of coal electricity plants, stimulation of new wind and solar power projects, and research into reducing the pollution generated by oil and gas—since these industries aren’t going away overnight. – The world’s largest boreal forest protected area—13,600 km2 of northeastern Alberta— established in partnership with First Nations, the Nature Conservancy of Canada and industry. – Popular new parks in the Castle River headwaters and mountains adjacent to Waterton Lakes National Park, and a new Bighorn Country west of Red Deer to rival Kananaskis Country, which Peter Lougheed set aside 40 years ago. – Protections for our much-abused Eastern Slopes in the headwater valleys of the Oldman and North Saskatchewan rivers, including better enforcement of environmental laws. – Guidelines to protect native prairie grasslands—among the most fragmented and degraded ecosystems in the world—from wind, oil, gas and other energy developments. Phillips doesn’t walk on water, of course. She failed to deliver any meaningful protection for Alberta’s dwindling caribou herds and ignored calls for a ban on strychnine poison. But in her first term she has already hit more home runs on environment challenges than all her predecessors combined. It’s a startling record of achievement, especially given the decades of neglect and abuse that preceded it. More amazingly, Phillips did all of this in the face of enraged, often-misogynistic opposition from people whose vision of the future is framed by the rear-view mirror and who see nature as little more than a store to be looted. Political agendas can be derailed by constant partisan aggression but, if anything, the nastiness from extremist groups only seemed to focus this minister’s determination. Incumbent governments are indeed measured by their track records. In the case of our NDP government, its environmental record is cause for pride and inspiration. Alberta could use more of Shannon Phillips’s brand of excellence.